Michael Laverty riding the 2010 Relentless Suzuki GSXR by TAS in the British Superbike Championship. This Limited Edition print of Michael Laverty riding the Relentless Suzuki GSXR by TAS is an edition of 70 signed and numbered by Billy. 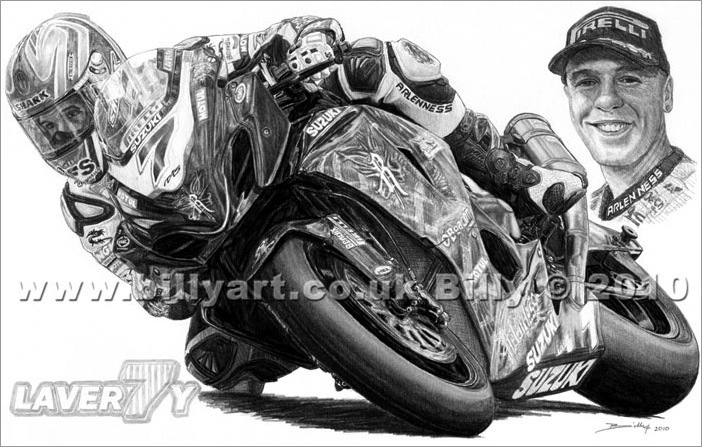 Taken from Billy the artist's A4 pencil drawing the print of Michael Laverty is A4 in size(297x210mm and will fit in a standard size A4 photo frame) £20 each with free post and packing. 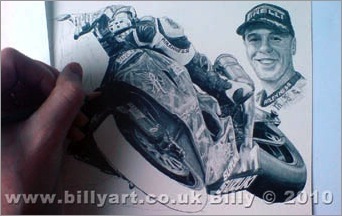 'Michael Laverty' by Billy is a unique Michael Laverty fan collectors print that would make a great gift.